The Royal Canal has a number of guardians. Responsibility for the canal and the areas surrounding it belong to numerous bodies. 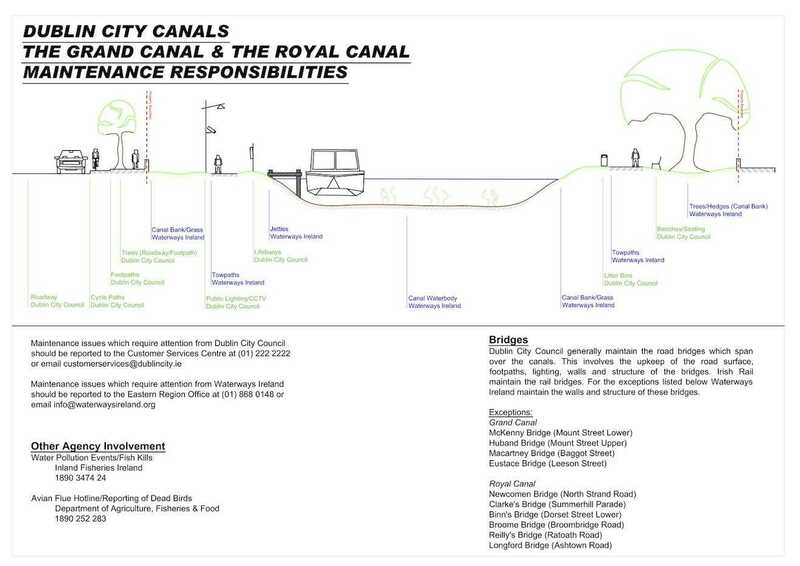 The above image should hopefully help clarify who is responsible for what aspect of maintenance of the canal.